New Forest Online has undergone a number of changes over the past few years – not the least of which is the completely re-designed, more intuitive, responsive (mobile-friendly) website. What makes an argument for responsive website design extremely powerful is the news that an incredible 4 out of 5 of the 24 million Britons who log onto Facebook every day are using a smartphone or tablet computer. This mass movement towards using mobile phones to browse the internet is gathering unprecendented momentum. Facebook is a little like Marmite. People either love it… or absolutely hate it. However you feel about it, what cannot be denied is the fact that millions of people are using it every day; not only to exchange the details of their breakfast, but to share links, opinions about products and services – and all sorts of other information about local businesses. 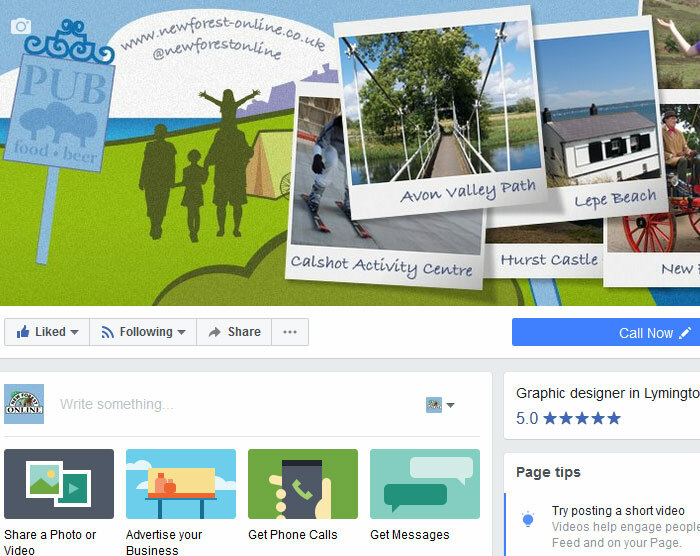 This is why New Forest Online is linked so closely to social and business networks – and it’s worked very well for us. It can work just as well for any type of business and it’s an area that we are helping increasingly more of our customers with. One of the arguments against using Facebook for business is that “so much rubbish gets posted on it”. This is true of Facebook – and of just about any other medium used for both business and consumer purposes. The trick is to ignore what is unimportant and focus on what is. Facebook is excellent for contacting businesses and potential clients on a more personal level – for example, if you take a photo at a trade show, find the Facebook page of every business appearing in the photo and post it to their page with an accompanying message. It’s a really simple thing to do – and excellent PR. The recipient can’t fail to appreciate the fact that you made the effort to send them a picture of their business that they wouldn’t otherwise have had. Multiply this activity by 100 and you’ve established a sound network based on goodwill. This is just one simple technique that Facebook pages are useful for.